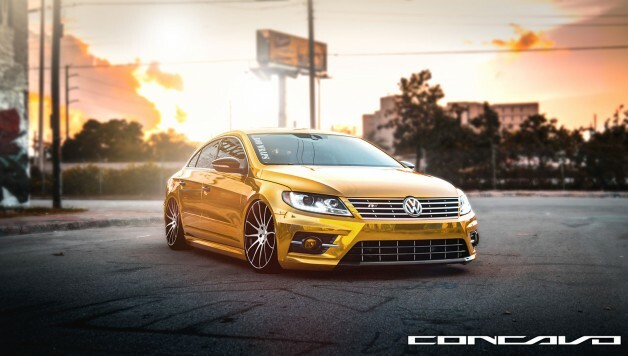 Miami wheels manufacturer Concavo Wheels did a project based upon a golden Volkswagen CC R-Line. 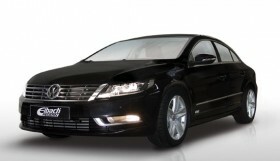 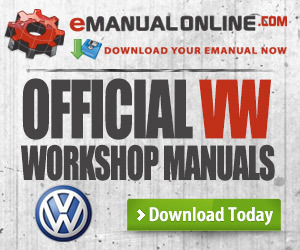 They fitted it with the CW-12 wheels sizing 20×9 inches in the front and rear axle. 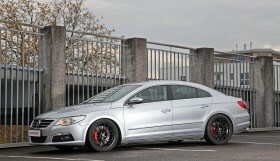 The wheels come in a matte black machined face and center caps featuring the Concavo signature. 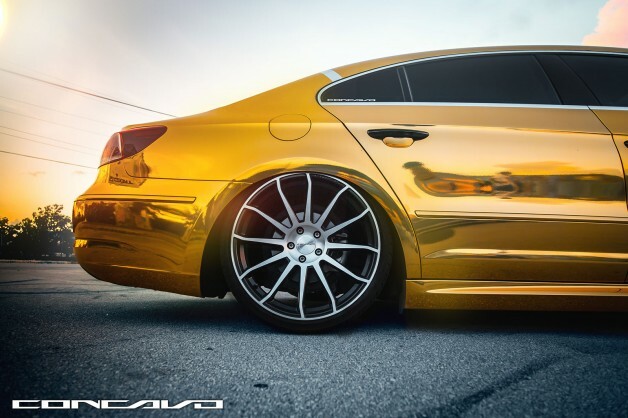 Concavo Wheels is dedicated to its vision of designing unique styles, aspiring to provide superior customer service and the finest craftsmanship. 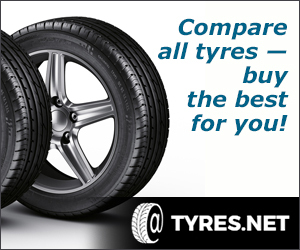 Currently they offer 20” and 22” wheels, however, other sizes will be released in the near future. 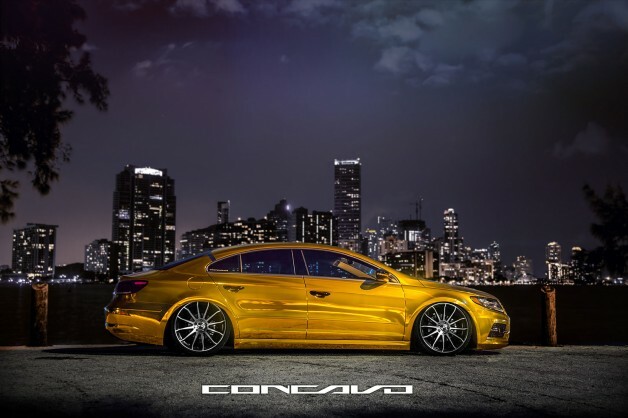 Concavo wheels offer medium concave front and super deep concave rear wheels. Concavo wheels is the first company in the industry to offer medium concave front wheels.